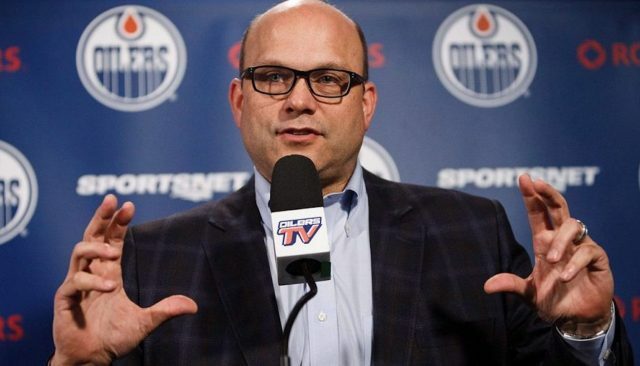 The Edmonton Oilers have fired General Manager and President of Hockey Operations Peter Chiarelli according to TSN’s Ryan Rishaug. The decision came following the team’s 3-2 loss to the Detroit Redwings, extending their losing streak to three games. The Oilers sit at seventh place in the Pacific Division with 49 points. The news comes as a bit of a surprise as just yesterday the front office allowed him to extend goaltender Mikko Koskinen to a three-year $15.5 million contract. Chiarelli spent the majority of his front office career as general manager of the Boston Bruins, where he won the Stanley Cup in 2011 and helped the franchise reach an additional Stanley Cup Final in 2013. He was fired by the Bruins following the 2014-2015 season. In three and a half years with the Edmonton Oilers he went 137-133-26 with only a single playoff berth in 2017. The team was eliminated by the Anaheim Ducks in seven games during the Western Conference Semi-Finals. The Oilers have not named a replacement at this time.